A350 XWB News: Airbus could win an order for 10 A350-900 from Kuwait Airways. Airbus could win an order for 10 A350-900 from Kuwait Airways. Airbus is close to sealing a purchase agreement from Kuwait Airways for 25 aircraft in a deal valued at $4.4 billion based on list price, according to two people familiar with the matter. The state-owned airline may sign the agreement as early as this month to purchase 10 Airbus A350-900s and 15 single-aisle A320neos, with deliveries starting in 2019, said the people, who asked not to be identified because the decision hasn’t been finalized. 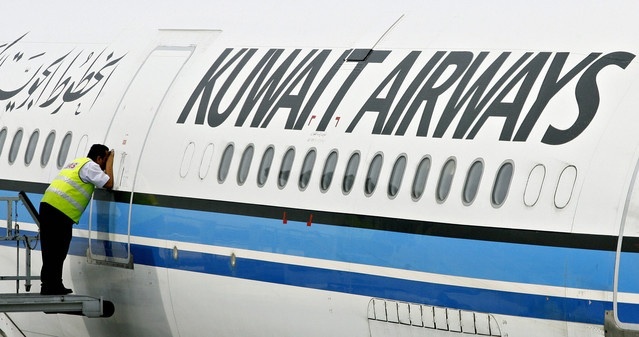 As part of the purchase agreement, Kuwait Airways will also lease 13 aircraft from Airbus, with the first to be received in June or July, the people said. The airline plans to take all 11 of its A300s, A310s and A320s out of service by the end of this year, one of the people said. 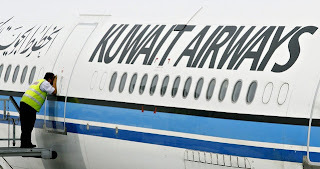 Kuwait Airways, which expects to pay about 850 million dinars ($3 billion) for the order, chose Airbus over an offer by Boeing partly because the cost was lower, one of the people said.